The story of Changgoon's rise as a coach is one of the most interesting stories within the whole of the Overwatch League. GC Busan coming through the APEX season four challenger scene as an amateur team, didn't at the time have the player or coach names that would allow many to see them as a contender, let alone a threat outside of head coach Ho-Cheol "Hocury" Lee. After they lost one of their main coaches in Jeong-Min "JFeel" Kim to rival organisation Kongdoo Unica. They took a unique approach when they turned in house for help from Chang-Geun "Changgoon" Park who was the teams manager at the time. It was an unorthodix approach, but one that worked out for the best for both GC Busan and Changgoon himself. When JFeel left Busan the team went internally to Changgoon on an interim basis. At this time Changgonn was working within the marketing department of the team at the time, he had no real communication with the players prior to being made a coach as his role was to contact team sponsors and deal with the teams social media, so for Changgoon the transition from marketing to coaching was a big one. The approach Changgoon took as as coach at that time differed to rest of the coaching team as he came from a management background that was more people focused which allowed him to view things from a different perspective. So while analytics and data are still key, having his players feel like they can come to him with any problems they had, both in game and out was an important thing for him. 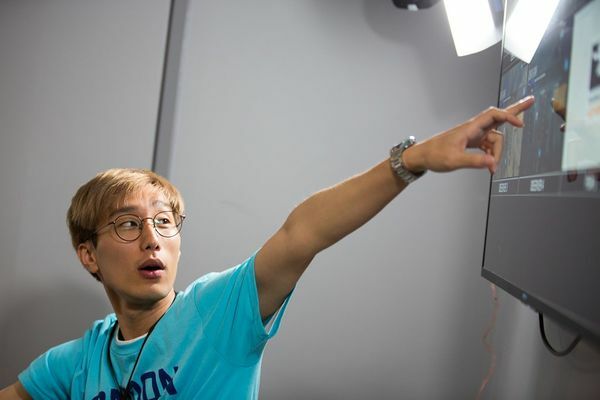 Before Apex season four started coach Changgoon admitted that he watched the VODs of all the games from the previous three seasons and worked tirelessly analysing the reason's why teams won, lost and the performances of each team. It was this tireless work effort and keen eye for tactics that helped GC Busan cause upset after upset throughout the season. With the momentum built throughout the season it was clear to see that he seemed to pair up with Hocury perfectly. Changgoon quickly became known as the brains of Busan's success train that and that success ended up leading GC Busan to be signed by the London Spitfire for the inaugural season of the Overwatch League. Changgoon came over with the core of GC Busan and was paired up former Kongdoo Panthrea & GC Busan coach JFeel and Cloud9 Head Coach Beoum-Jun "Bishop" Lee to form the Spitfire's coaching core. The start of the season couldn't have gone any better and during stage one, the teams performances were good as the aggressive dive style that Busan had in APEX, transferred over to OWL despite Kongdoo's preference towards slower set piece play. They managed to go 7-3, making it to a stage playoff at the first attempt and had to face the Houston Outlaws and the NYXL who happened to be their last two opponents of the stage, but also the two teams that beat them the last week of stage ones regular season. The team were able to bounce back and win the stage, getting the revenge they wanted and proving that they were a team to look out for. While Bishop was the face of the franchise from a coaching perspective as the Head Coach, it was the combination of Changgoon and JFeel with their preparation and strategies that was pushing the team forward. Stage two came around and while once again the on stage performances were looking great, the departure of Bishop due to rumoured differences in approach in week two caused an unnecessary distraction. This led to Changgoon and JFeel being the only two coaches on the team and Changgoon admitted in an interview that "With the coaching staff reduced to two members, trying to accommodate for the league with less than half of other teams' coaching staff members is very exhausting. I think player to coaching staff ratio wise, we are the most understaffed. Me and JFeel have been picking up where Bishop left off, discussing everything together along the way." While the team finished 8-2 for stage two and reached the stage playoffs for a second time, the team finished in a surprising third place after a 3-2 loss to the Phildelphia Fusion. It was at this point that only having two coaches supporting the team was starting to cause a strain on the team, though through no fault of either Changgoon or JFeel. The team had a poor stage three and failed to make the playoffs for the first time in the season. It was the first time in his coaching career that Changgoon had results that went against him and had to use the time he had available to him, to reflect on his current situation and see what he had to do in order to turn the teams fortunes around. London were still implementing the 12 man roster from when Bishop was head coach and when he parted with the team it left the Spitfire with just two members of the coaching team to directly help the team, the work load was too much and it prevented both coaches giving their expertise to the team to their fullest and helping the team transition in to the new meta. While ex LuxuryWatch Blue coach Cheol-Yong "Agape" Hong had agreed to join the Spitfire on a permanent basis, the lasting effects of Bishops regime were still there. With too many players to try and adjust and introduce into the team so they got play time. Results started to falter and it quickly became clear that the Spitfire had a core group and that things had to change after a 5-5 stage three. This led to our current version of the Spitfire, after the announcement that four players that were part of the original line up were made inactive due to deciding on seven players that would make up the core group, the team focused on rebuilding their synergy and getting used to the play style differences. A renewed and dedicated focus has come in to play, that was not only due to the line up change but the backroom staff had decide that a change was needed to give a clear and steady direction. 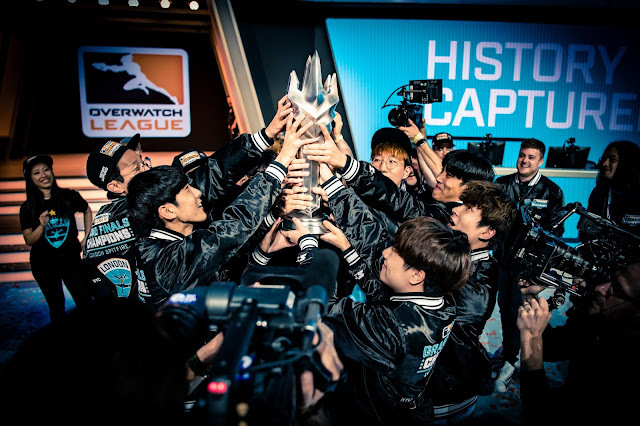 That direction was set into place during stage four, where the team once again finished with a record below expectations, but had slowly started to improve their play and they secured the fifth seed for the first playoffs in Overwatch League history. At the end of the regular season, two things happened that helped the massively in both their performance in game and outside of it. The first was a month long break between the Stage Four Playoffs and the playoff quarterfinals, that allowed the players a much needed rest from a gruelling six month regular season that required focus day in, day out. That allowed them to fully recharge while go and explore around North America. The second was a sharp switch away from a tank-stun meta and more towards the current double sniper meta, a meta that played in to the hands and hero pools of London’s DPS duo Birdring and Profit perfectly. Alongside the teams strategic coach Agape; Changgoon’s game plans against the LA Gladiators and Valiant were meticulously formed and executed to the letter outside of the 0-3 first match loss to the Gladiators, who was surprisingly playing over Fissure, where the he and the coaches hadn't expected the Gladiators to play iRemiix due to internal issues. The coaches refocused and then brought out a surprise of their own, going on a tear to reverse sweep the Gladiators and the following week to 2-0 the LA Valiant in just as dominating fashion. The Spitfire had become the Kings of the west coast and were now on their way to become the Kings of New York. The Philadelphia Fusion were the surprise last obstacle for Changgoon to get past, the last obstacle to ensure that he stayed undefeated as a coach in tournament play and one last obstacle to ensure that the long and challenging season he and the other coaching staff had endured, was worth it all in the end. Inside the Barclays Centre in New York City, is where it was all to be decided and where it was decided emphatically. Changgoon’s work as a coach was on show at the highest level in the game, in front of the biggest crowd the league had seen. The time that he, JFeel and Agape had put in to turn the team around, make them a cohesive unit again and one that would be seen as the team to beat came to fruition. London looked incredible and bullied the Fusion from pillar to post in the Grand Finals, sweeping them 2-0 and becoming the first Overwatch League champions in history and placing Changgoon with having an unprecedented double as a coach, having won body APEX and OWL. Now the off-season is here, the even harder task of working with his fellow coaches and General Manager Susie “Lil Susie” Kim to ensure that the roster selected and signed is one that will stay true to the in game philosophy the team have created, the fans who’ve been loyal throughout the highs and lows of the season, but also the fact that coming in to season two, with teams retooling and new teams joining. The London Spitfire have the targets on their backs, as they are the team to beat and everyone else will be gunning for them.